Bikas R. Pati | I.K International Publishing House Pvt. 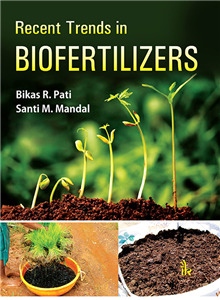 Ltd.
Bikas Ranjan Pati obtained his PhD from University of Calcutta on the topic concerning biological nitrogen fixation. His academic career began with Scottish Church College, Kolkata and later he moved to Vidyasagar University in the Department of Botany in 1990, and in 2001 he founded the Department of Microbiology. He also established the Bioinformatics Center in the University. He has collaborations with other universities and published 110 papers, a major part of which is concerned with nitrogen fixation, liquid biofertilizers and vermicomposting. He has completed several projects funded by the UGC, CSIR, DRDO, AICTE, DBT, UNDP, etc.